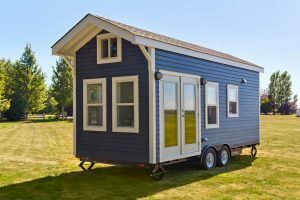 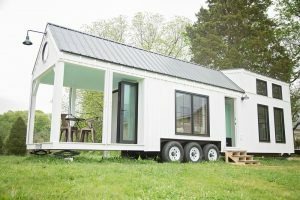 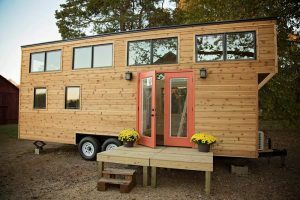 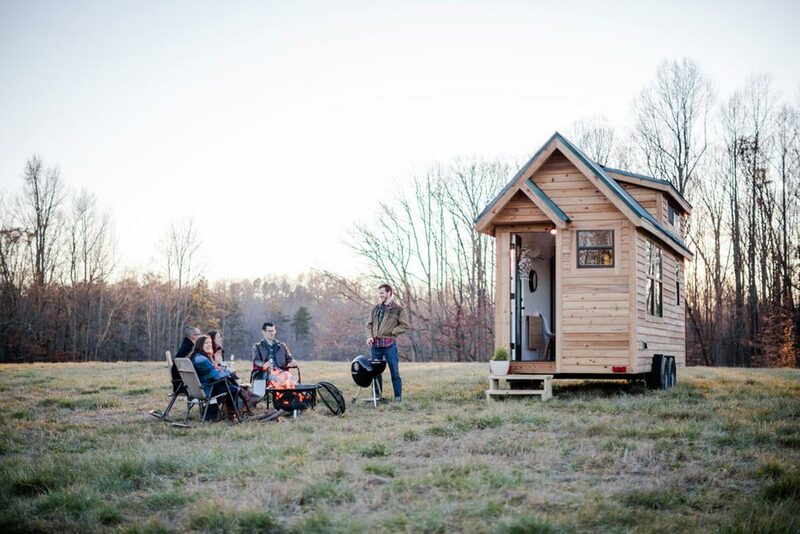 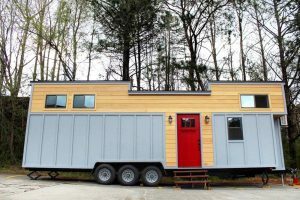 Lindley is a lovely tiny house built by Tiny Life Construction in Greensboro, NC. 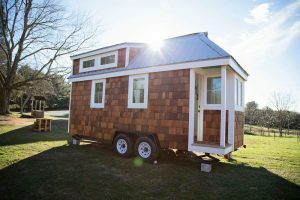 The tiny house features a futon in the living area to serve as a guest bed, a bedroom loft with double dormers, and white oak flooring. 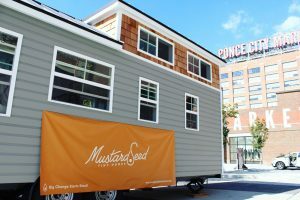 The kitchen includes a propane gas range, open shelving, and butcher block countertop. 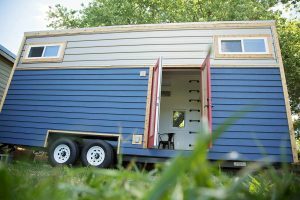 The bathroom is accessed by a sliding barn door and comes with a flush or composting toilet. 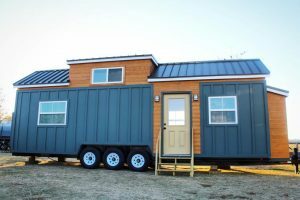 The price for Lindley starts at $47,999.00. 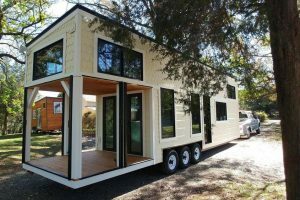 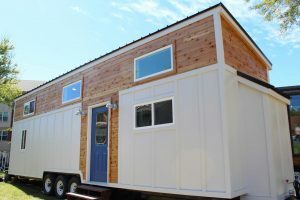 For more information about this tiny house visit Tiny Life Construction website.